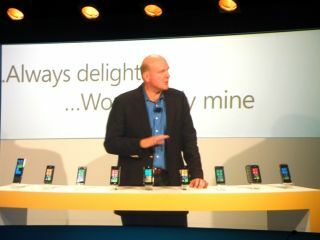 Windows Phone 7 is finally here – and that means that the major UK networks will be offering the latest and greatest handsets on the platform. Because of the similarity of specs with the handsets, many of the networks have got exclusive deals, so we're compiling who has what so that you can pick out your HD7's from your Trophy's and your Omnia's from your Optimus'. First up is the HTC HD7 – which is the biggest of the phones on offer, bringing a whopping 4.3-inch touchscreen, powered by the 1GHz SnapDragon processor and offering 16GB of onboard storage. This phone is being offered by just O2, who have picked up the exclusive rights to a handset which is likely to be among the most sought after on the platform. Sticking with HTC's offerings, next up is the HTC 7 Trophy, which has been snapped up by Vodafone. This phone offers 16GB of internal storage, the 1GHz SnapDragon processor and a 3.8-inch touchscreen. Last up, for now, from HTC is the HTC 7 Mozart, a 3.7-inch touchscreen phone that is being offered exclusively by Orange. Moving on to the other two phones; Vodafone are offering the LG Optimus 7, which brings a 3.8-inch WVGA capacitive touchscreen, 5MP camera and 16GB of onboard memory. Last, but by no means least, the Samsung Omnia 7 featuring a 4.0-inch Super AMOLED touchscreen, Bluetooth 2.1, Wi-Fi and A-GPS connectivity. There's also a 5MP camera and 8GB of internal storage. This handset is being offered by Orange, T-Mobile and Three, so far, with others expected to be joining them. There are more phones expected in the coming months, and we will, of course, keep you updated.